We’re still over a month out from Labor Day, but there is hockey being played this week – and several participants will be of interest to Kings fans. National programs often use this time to hold development/evaluation camps in which their junior teams participate in a mini-tournament. Canada, the Czech Republic and Russia are holding a “World Junior Showcase” in Calgary this week, and several interesting names popped up in Canada’s 4-1 win over Russia on Monday. The 5-foot-9, 170-pound Watson scored 20 goals as part of a 48-point, 41-game season that was derailed by a broken ankle. He was also denied on a close-range attempt off a Mitchell Marner feed, according to Aaron Vickers of NHL.com. 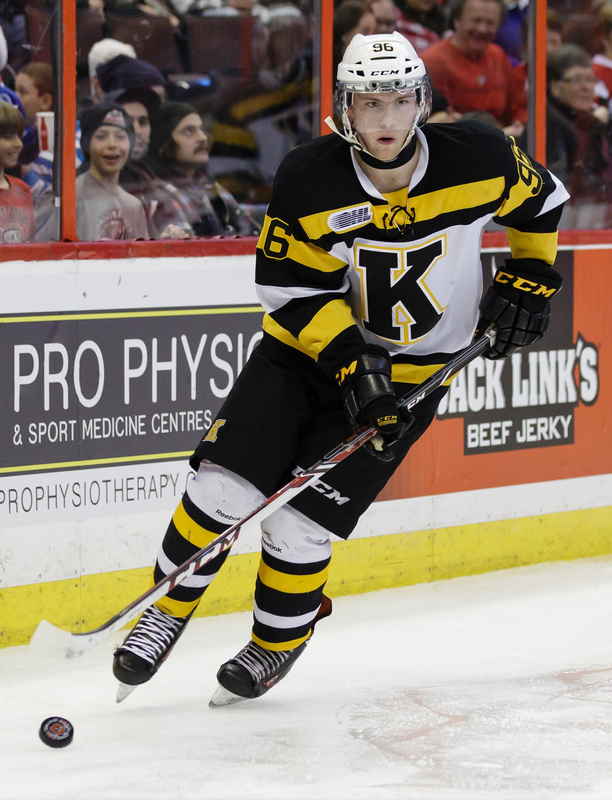 Watson will return to OHL-Kingston as a 19-year-old. Earlier, defenseman Damir Sharipzyanov, who drew notice as an invitee at the Kings’ development camp last month, scored to give Russia the lead 3:52 into the game. Sharipzyanov, who will return to OHL-Owen Sound for his third major junior season, will be worth paying attention to at next month’s rookie camp as an invitee with a quality shot of earning a contract with the club. 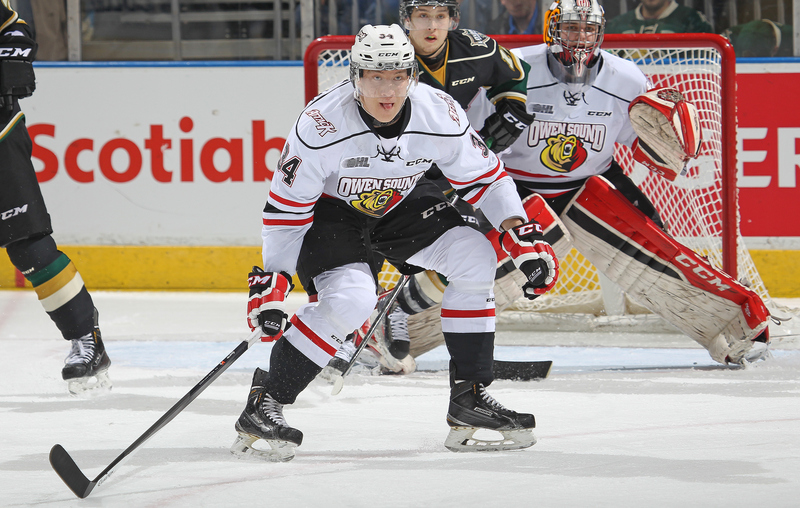 The 6-foot-2, 203-pound Sharpizyanov totaled nine goals and 34 points with the Attack last season. Canada will return to action in the World Junior Showcase when they face the Czech Republic on Tuesday evening. Side note: Russia's goal scorer, Damir Sharipzyanov, isn't listed on the FHR website as on the team. Must've been a last-second add. Meanwhile, in Lake Placid, the United States, Finland and Sweden national junior teams are again holding their own World Junior evaluation tournament. For the first three days of competition, White and Blue USA teams took on the Swedish and Finnish teams, and now that cuts have been made, a full United States camp team will face Finland twice and Sweden once by Saturday. Sweden and Finland will also face each other. This means…Adrian Kempe sightings! 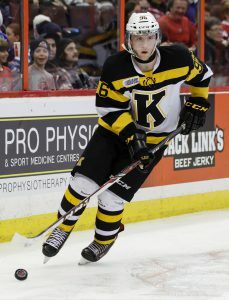 The Kings’ first round pick in 2014, Kempe’s marathon 2014-15 campaign ended when he hoisted the Calder Cup on the Utica Memorial Auditorium ice on June 13, fresh off a five-game series victory, eight-goal postseason and 10-month season. 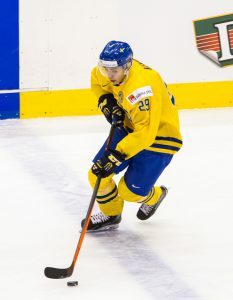 Back on the ice this week, Kempe is yet to register a point in a camp game – his Swedes are 1-0-1 – while skating on the top line, primarily with Oskar Lindblom and Axel Holmström. Last year, Kempe had four goals and eight points in six World Junior games. I asked one member of the media at the game about Kempe and received back a “strong on the puck, wicked shot, physical” text. While Kempe might not be the most “physical” player on the ice, he certainly did a good job of weathering a strong, focused dose of the opposition’s heavy play during each round of the Calder Cup Playoffs and saved his most productive hockey for the Final. Kempe also appeared to absorb a stick up high – as will happen in hockey – but took to Twitter to alleviate any concerns about his well-being. 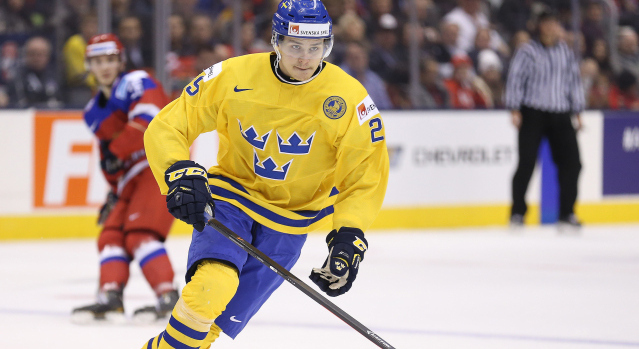 The 2016 World Junior Championship will take place in Helsinki, Finland between December 26, 2015 and January 5, 2016.